ICON Health and Fitness, the parent company of Weslo is more than 40 years old organization which has been successful in helping people achieve their fitness targets. It is an Utah-based company, founded in 1977 by Scott Watterson and Gary Stevenson. Since its inception, it has worked towards building budget-friendly machines which any consumer can buy without worrying about their finances. it has been fruitful in empowering a balanced and healthy lifestyle for its customers. It works in the ongoing pursuit of developing better machines for their clients. What Makes Weslo Stand Out? Weslo is the brand for real people who have less budget but still want to follow a healthy lifestyle by being fit. It creates products for every fitness level and delivers the best cardio experience for the user. All Weslo products range between $100 to $300 and are considered the best machines under $300. They might not suit the needs of everyone but will help you come out of your sedentary lifestyle and give you the motivation to workout each day. The treadmills by Weslo are highly economical machines which fall under the price range of $500. They are space saving and can be easily folded vertically and stored anywhere in the house when not in use. They do not offer any incline, but the user can manually adjust the treadmill for an incline workout. These treadmills are perfect for light to medium use as they are not designed for running. The tread belt size is smaller as compared to other treadmills but offers excellent comfort for walking or slow jogging. The user can return a Weslo treadmill within 30 days with a full refund in case he is not satisfied with the product. In short, these treadmills are designed to fulfill the basic cardio needs of the user and help them maintain a continuous fitness routine. The exercise bikes by Weslo are very fruitful in helping one achieve his fitness goals. The various models by Weslo are beautiful and useful at the same time. They fall under an affordable price range of $100 to $200 and can suit anyone’s pocket. The designing is Step-Thru which can accommodate any user size, the preset programs are varied and offer a good workout variety to the user. Weslo Rowers are the perfect and the most under-rated machines in the gym. They efficiently work on the whole body and targets core strength. They also keep the heart rate perfect and healthy. They work perfectly whether you are using them in a sitting or standing position. The rowers by Weslo are sturdy and rigid and have the most durable pedal and wheel system. The rowers by Weslo also stand out because of their design. Getting on and off the rower than other models is straightforward. These rowers are multi-purpose as they help you tone your muscles, work on upper body, lose calories, etc. 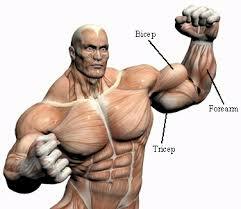 You can make regular rowing motion by sitting down and doing bicep curls while standing. They are lightweight and come with innovative features. The ellipticals by Weslo are budget-friendly trainers, and you will get what you pay. They are designed with basic features and functions which are ideal for home use. They are compact in design and come with transport wheels for easy portability. They have a decent stride length, and the user can manually adjust the resistance. The frame is sturdy and robust and can take weights up to 250lbs. They have other features like Heart Rate Monitoring (Easy Pulse™), workout programs, LCD window, etc. Weslo offers a warranty of 90 days on parts and labor. Weslo products are budget-friendly and come at competitive prices. Weslo is known for making space-saving machines for home use. Weslo’s products are mobile and easy to handle. Welso makes products for people of all fitness levels. Weslo machines can be a bit noisy. Weslo products have a strong built, but the maximum weight they can take is only 250 lbs. Being low in price, Weslo misses out on some advanced features on its products. Weslo is undoubtedly the most liked brand by the users, especially who are wanting to set up a mini gym at home without spending more money on costly equipment. It does not burn a hole in your pocket and delivers precisely what you pay for. For beginners and intermediate fitness lovers, this brand is the final stop. They sure will find the right kind of machine for achieveing their fitness goals. Weslo products do not come with fancy feathers, but still, have a decent build quality and innovative design. They have all the necessary features of a fitness machine. These machines are perfect for light use and one of the best machines for home use. No other company can offer such a fantastic price/value ratio to the user along with a decent warranty. So, choose the right machine for yourself and get going with your fitness routine.